I woke up to some sad news on Saturday morning that a regular customer at the coffee shop had passed away in his sleep. This man was in his 80s but you would have thought he was in his 60s. Amazing shape, worked out at the gym daily, still driving better than 99% people on the road, funny, and just an all around super nice guy. I saw him every shift I worked for almost three years. He always had a funny story to share and I was guaranteed to laugh at whatever he decided to share with me that day. Whenever I saw his car pull up, I would try to make his drink (double Americano in a small cup) before he made it inside the shop. He'd always beat me and I'd tell him he was just too fast and to please slow down for me next time 😜 He never did and I only beat him once in two and a half years because someone stopped to talk to him in the parking lot. He told me once that I should be ashamed that an 85 year old man gets out and does more than I do haha This year, I vow to get out and do more because that man knew how to live life and he did it well. I can't believe I won't see his car pulling into his usual spot anymore. Sorry to be a bummer on a Monday morning, but this has been rough news to process. I haven't been writing my workouts down lately, but there's been a little bit of strength training and a lot of walking. I set a goal on my Apple watch to burn 400 calories throughout the day and I've been hitting that every day so I'm happy. Walking and working out and been great for helping me clear my head and work through things. Here is the workout I did last night. 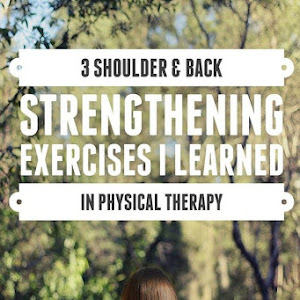 I went through each group of exercises three times before moving onto the next group. My watch was acting funky - turns out it needed an update - so I didn't get a calorie burn this time. I added videos from YouTube for some of the moves. - Veggie burgers - I stocked up when Aldi had their vegan protein burgers awhile back so we will be eating those this week for sure. - Vegetarian tortilla soup - I made this last night in the Instant Pot and added some red lentils then topped with Greek yogurt and tortilla chips. It was very good! I did some grocery shopping yesterday but only picked up some fresh fruit, juice, elderberry extract, bagels/bread, almond milk, and soap. We actually have a ton of food in the freezer and pantry so I'm going to make this week's meals with what we already have on hand. Quick side note » Last time I bought elderberry, I got the Gaia brand and it tasted so bad! Waves refused to drink it and I dreaded it.. but that brand up there is much better. Tastes like a raspberry/grape juice. Waves will take it on its own, but prefers it mixed with a little apple juice. Beware though, it is impossible to pour it without spilling everywhere! Super frustrating. Luckily I had a bottle of echinacea that was almost empty so I've just been using the dropper from that.